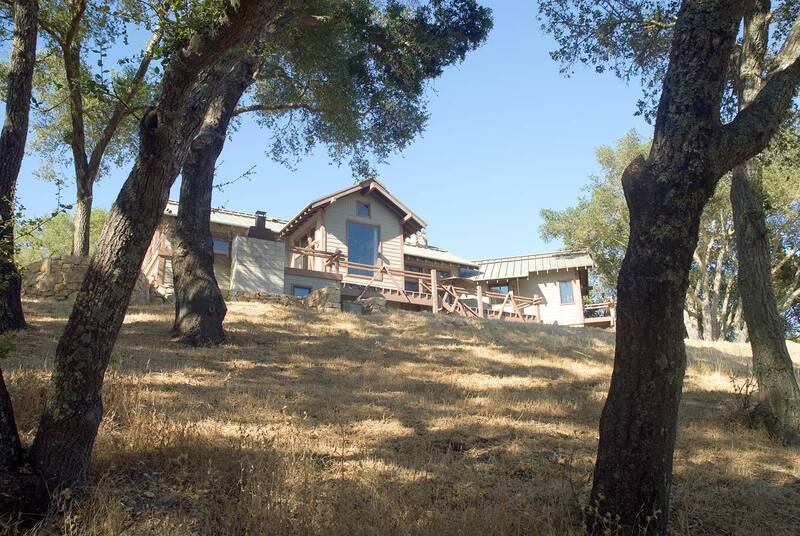 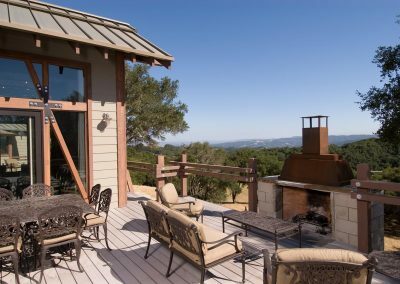 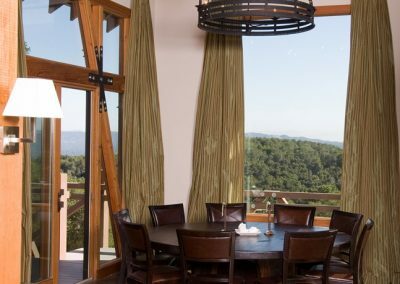 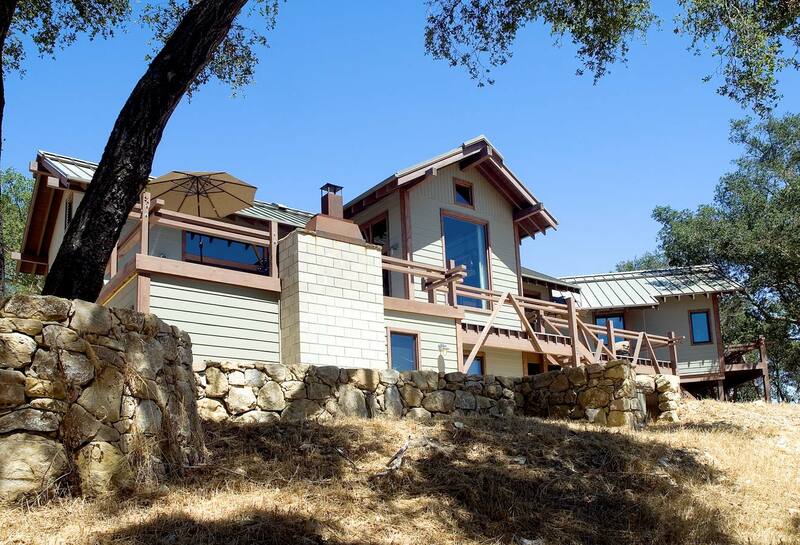 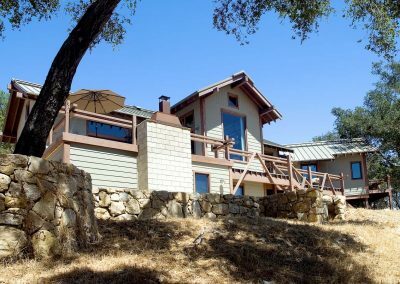 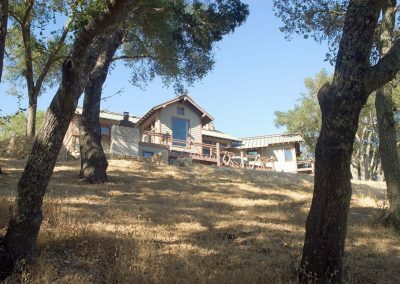 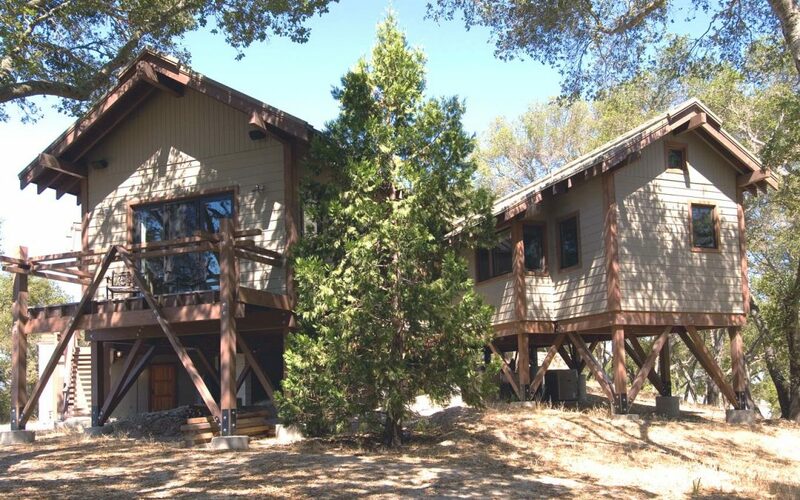 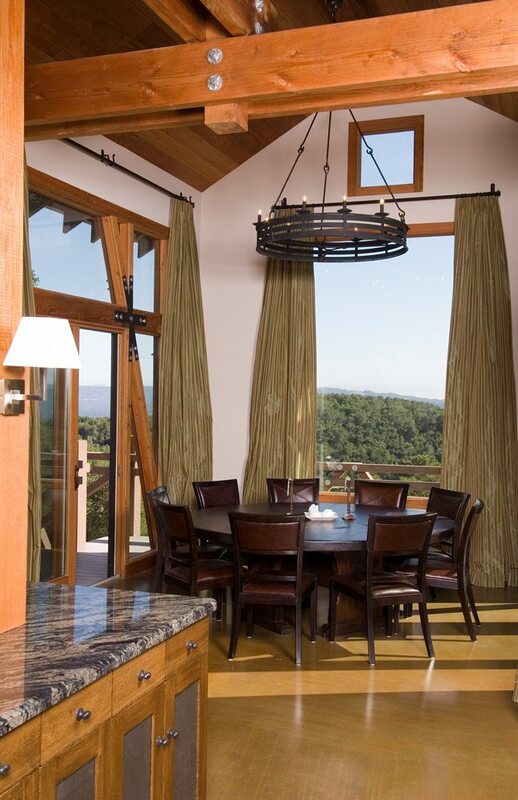 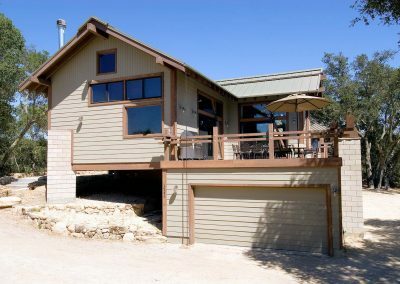 The house is sited on a hilltop on 40 acres in the middle of the Paso Robles wine country. 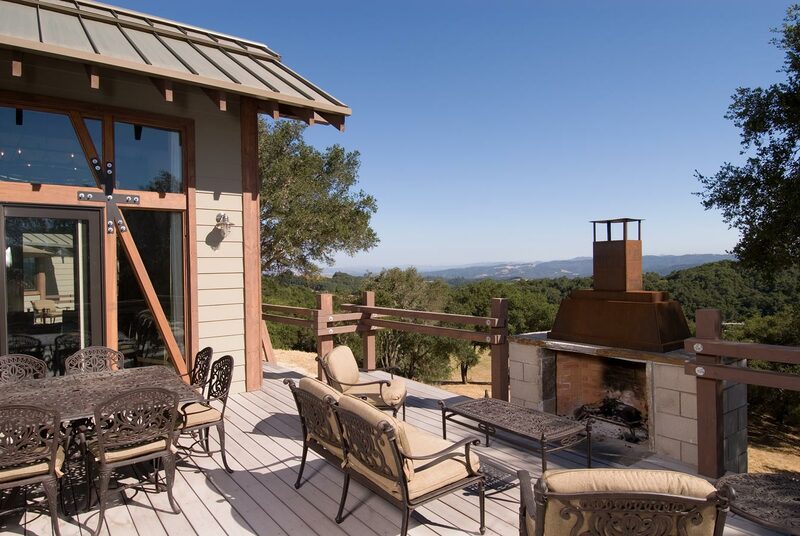 More than 150 wineries are within a 4 mile radius. 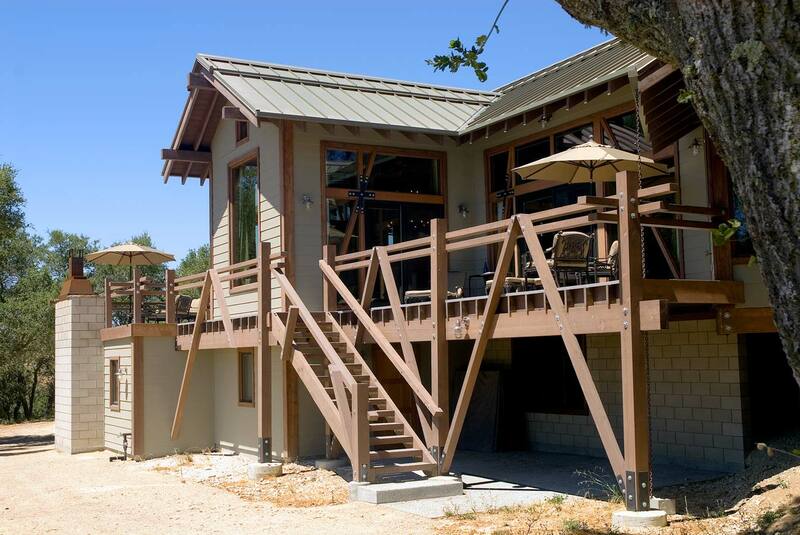 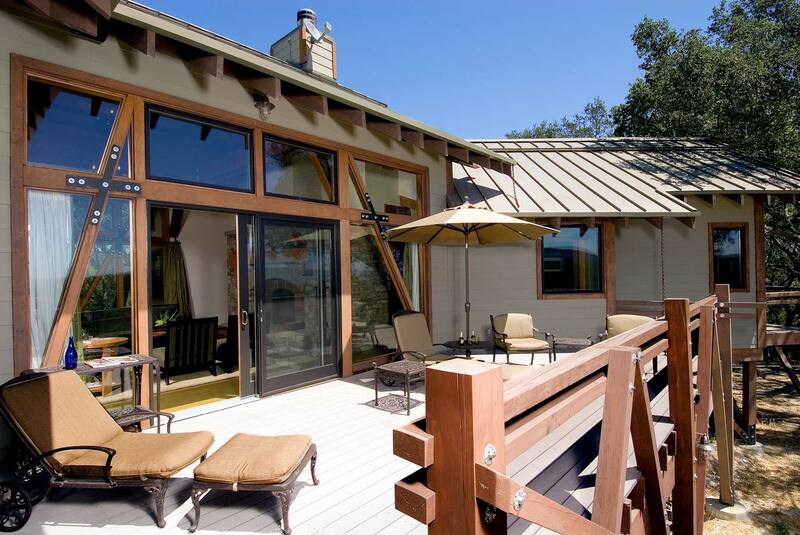 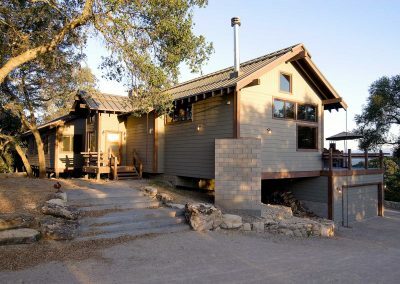 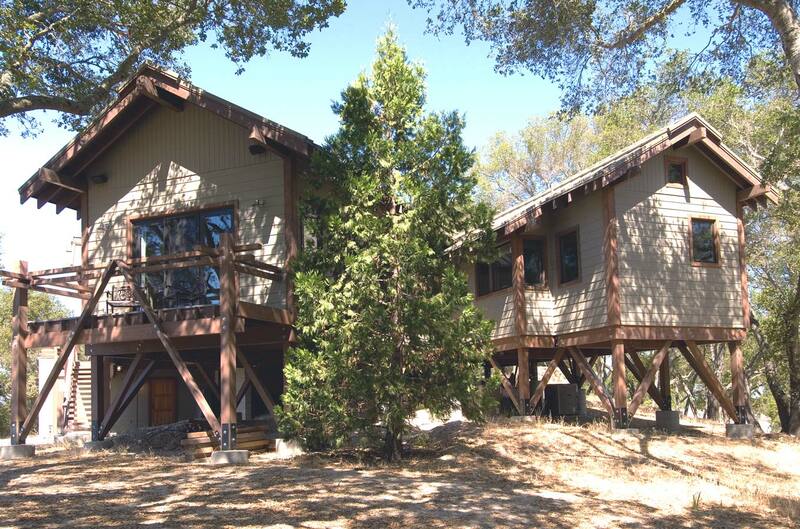 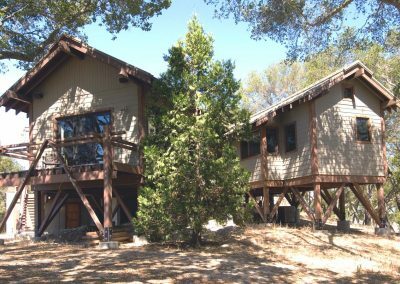 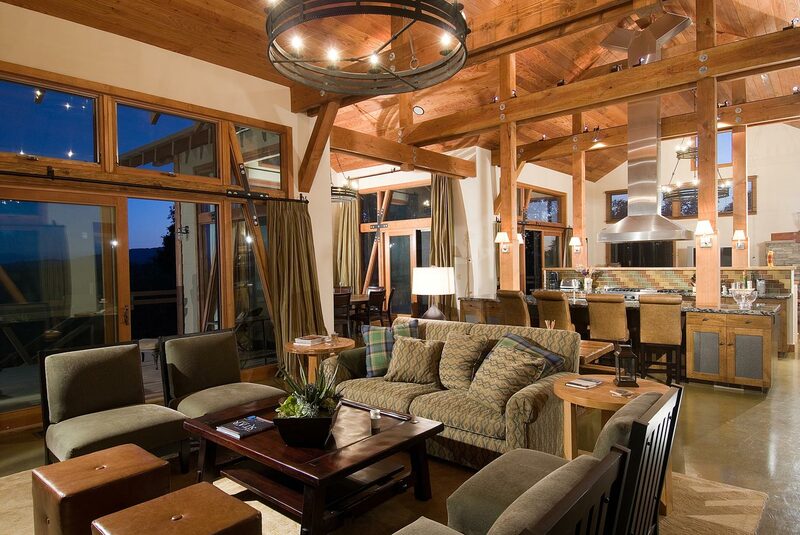 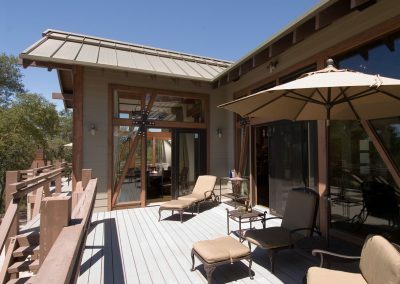 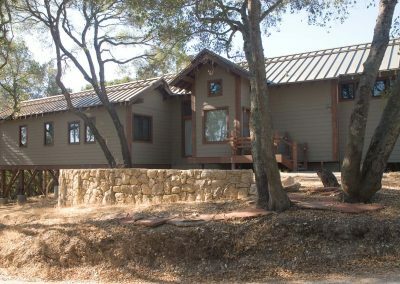 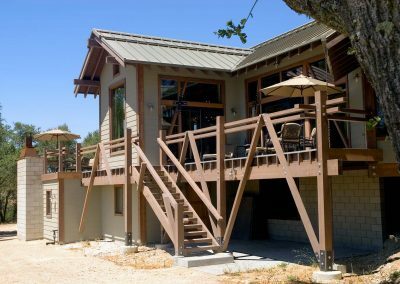 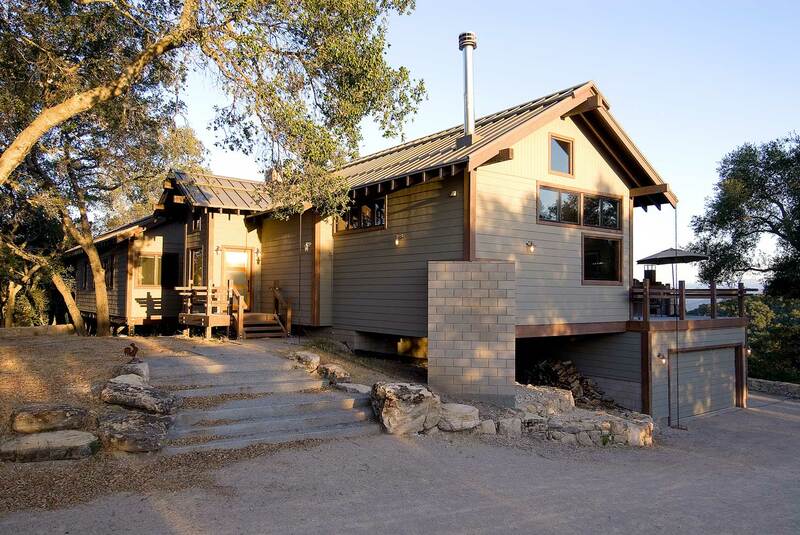 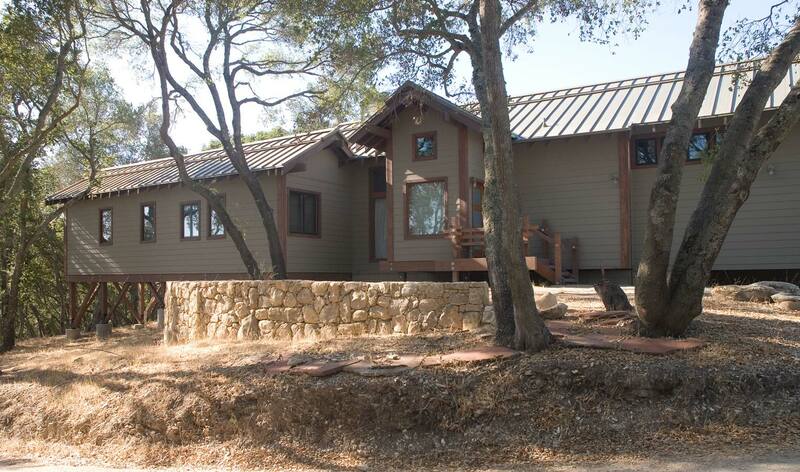 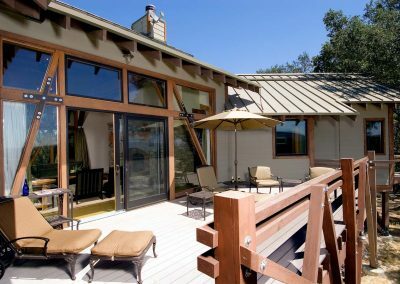 This weekend retreat snuggles up to wild oaks on one side and has 15 mile views toward the ocean on the deck side. 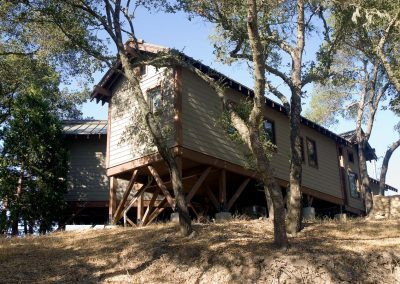 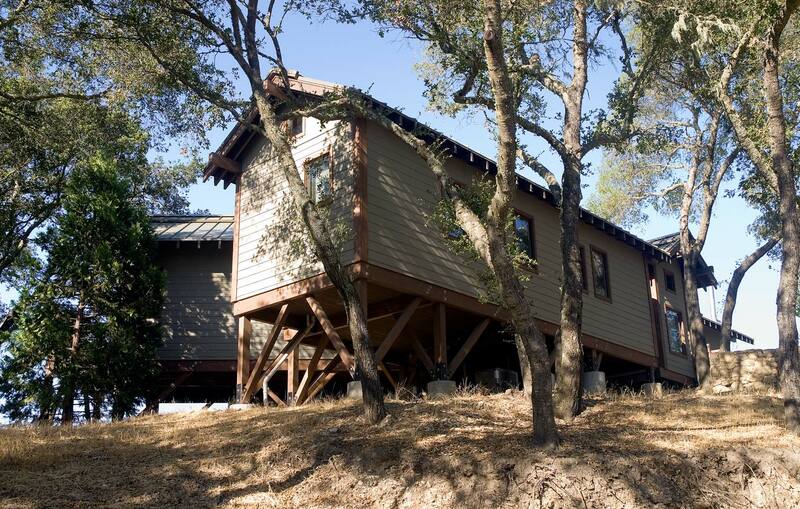 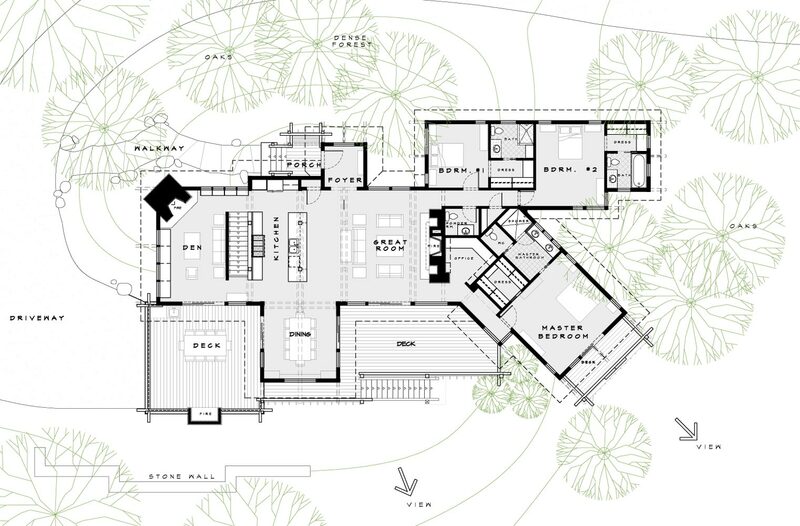 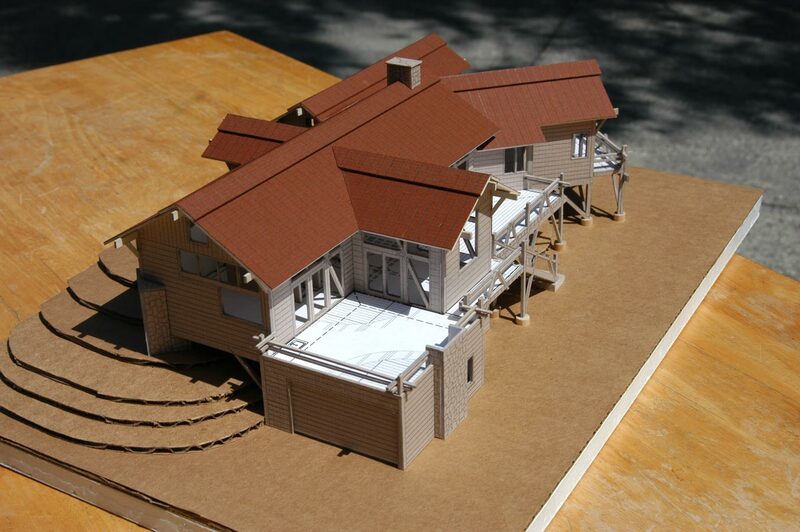 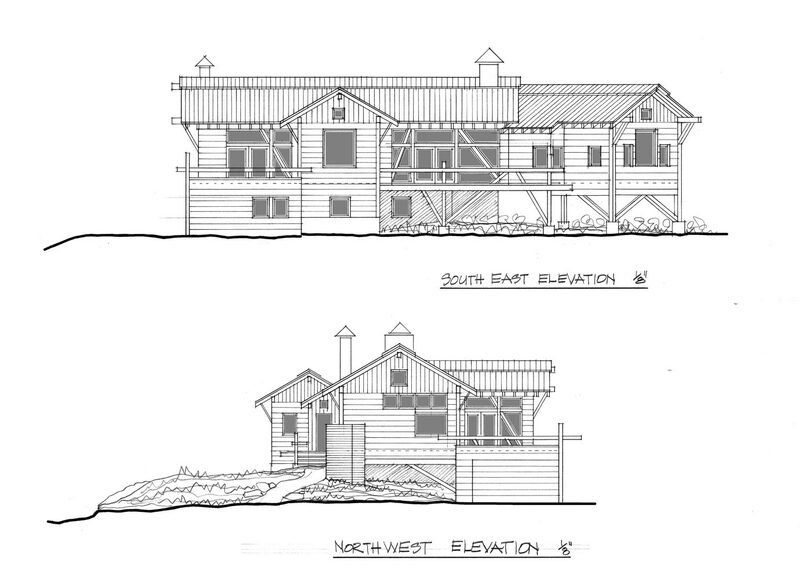 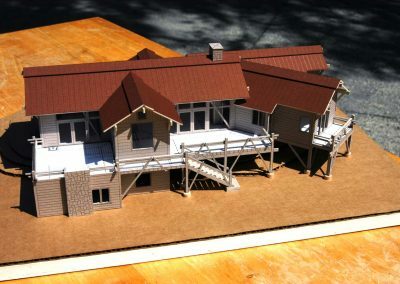 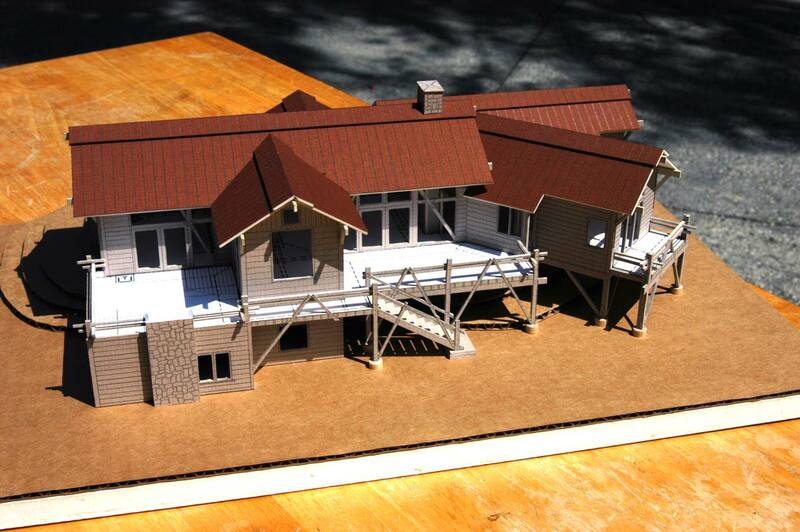 The house floats off the sloping ground to avoid grading and disturbing the natural site and native oak trees. 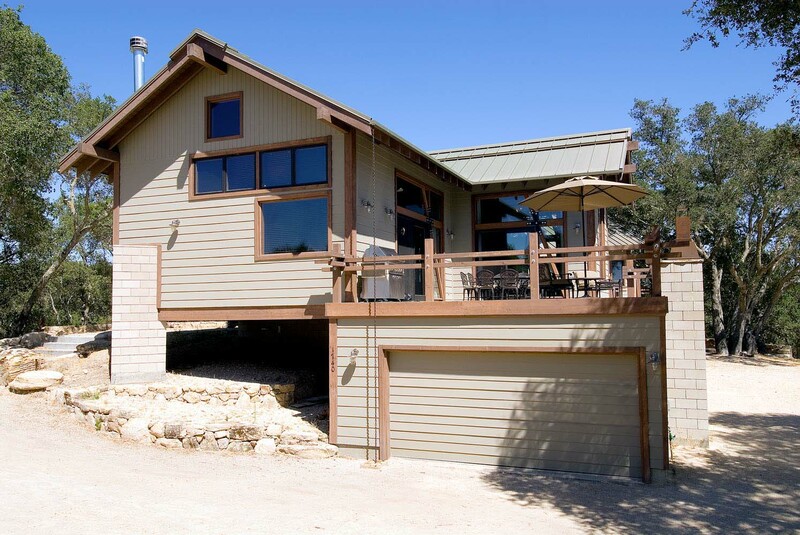 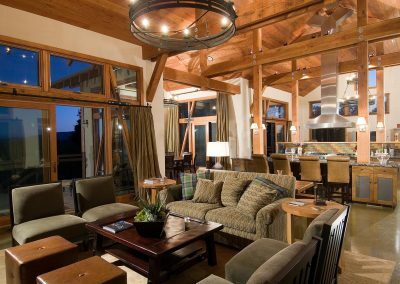 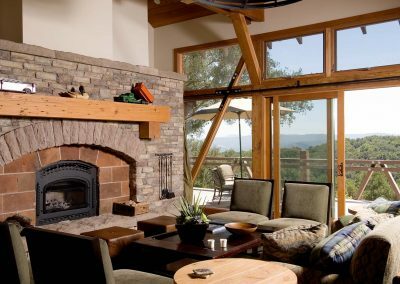 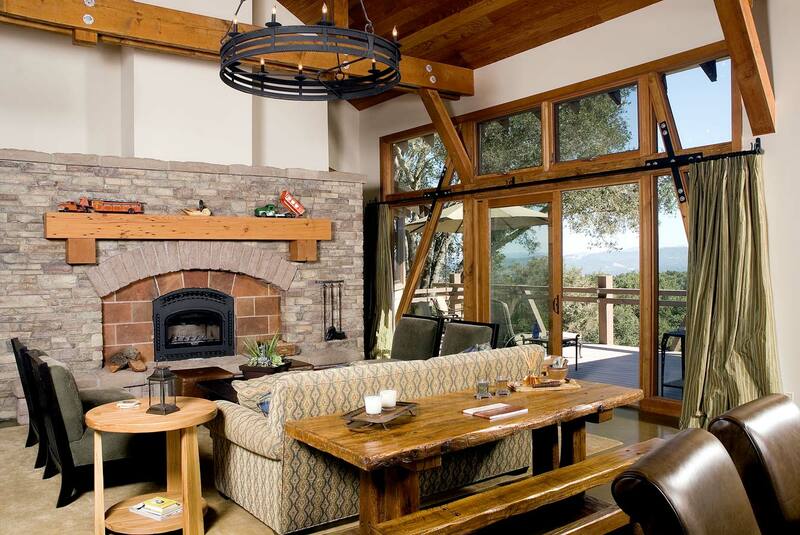 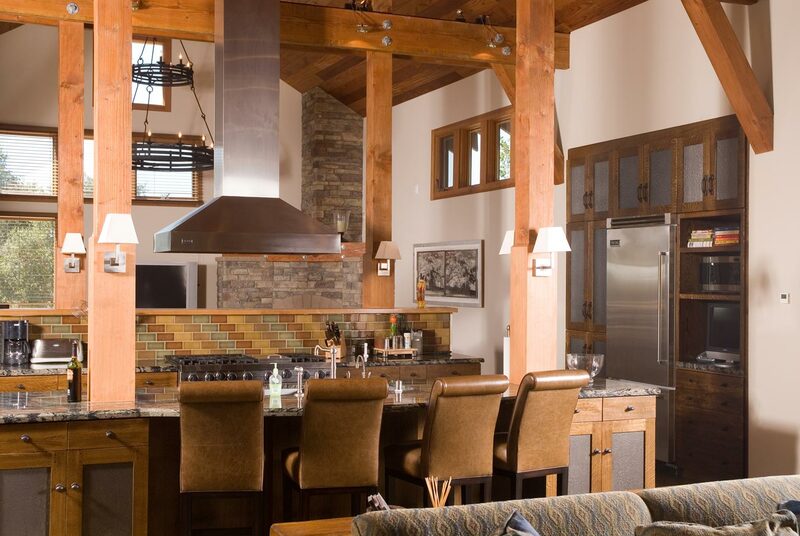 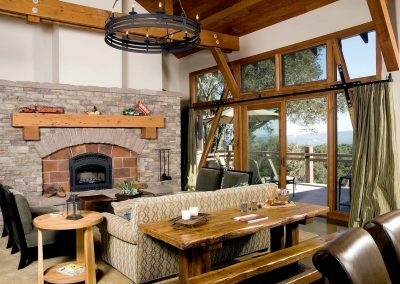 Heavy timber construction, Hardie plank siding, natural stone walls and metal roofing meet all of the fire codes. The open plan and outdoor decks create indoor outdoor uses focused on the views and shade. This project started as an addition and renovation. 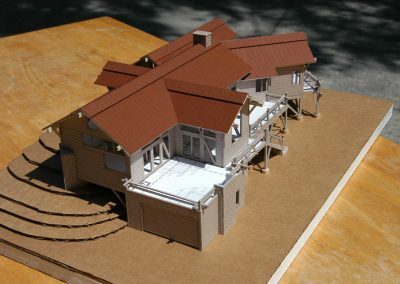 The Client was in the old house during the earthquake of 2003, on the telephone with us when it fell over. 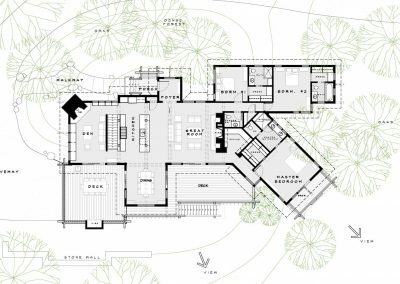 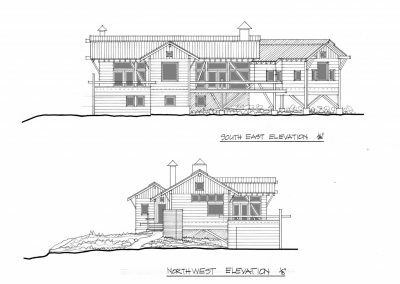 They were unhurt, but the event allowed a new design opportunity – To design a new house, saving only the existing garage pad.